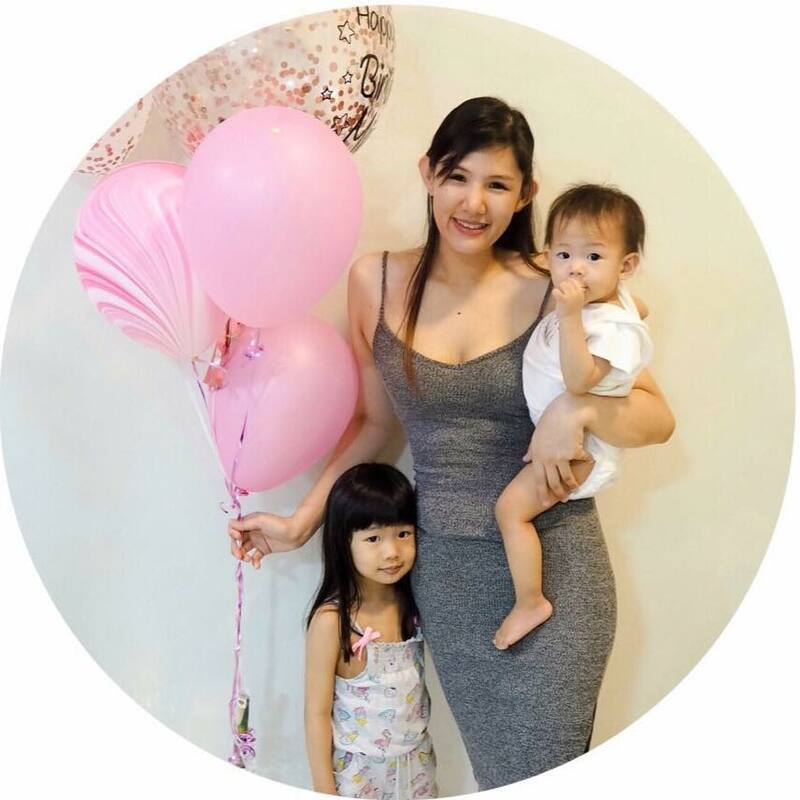 Hi loves, I am back with another review for Swissvita products, this review will contain 2 products from Swissvita. The first will be a product I have been using already, Swissvita 3D Micrite All Use Eye Cream and the second will be a new product I have not tested before, Swissvita Acne Solution Soothing Cleanser Cream. Swissvita 3D Micrite All Use Eye Cream is a water based eye gel, the gel is very light and smooth so it glides on really well. Like any of the Swissvita products, the gel is fragrance-free. The eye cream absorbs into your skin quickly and doesn't leave behind a greasy film. I use it both day and night after I tone my face and before I apply my moisturizer, a small dot is more than enough for both eyes. 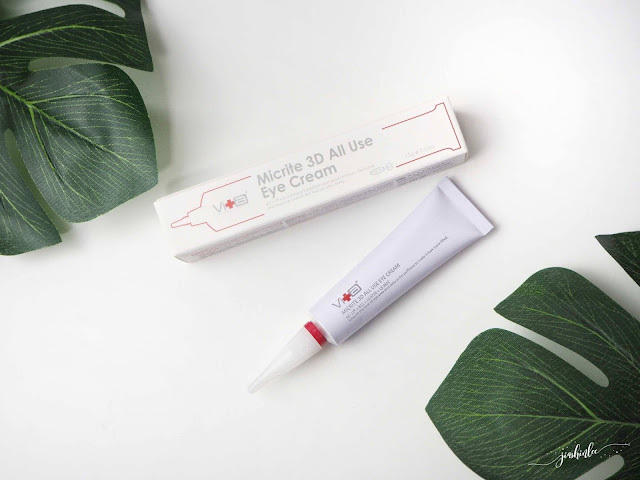 I personally love this Swissvita 3D Micrite All Use Eye Cream to bits because before this I've been using the wrong eye cream which gave me constant problems like milia seeds and getting rid of them was a pain. 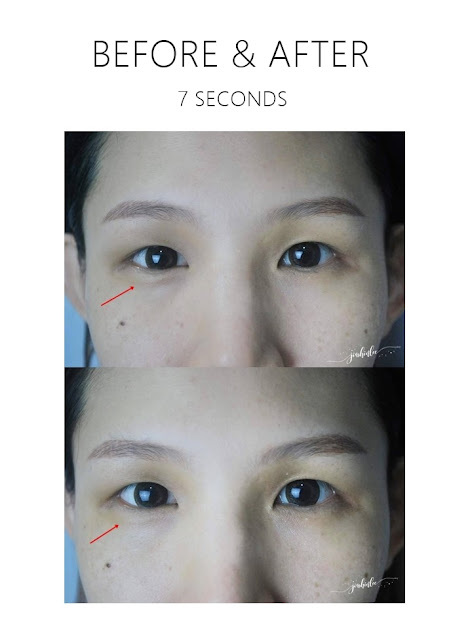 I don't have terrible eye circles nor wrinkles around my eye area, therefore, I wouldn't be able to comment much on that but using this eye cream certain helps prevents them but here's a result of me using it right after my shower, you can clearly see my puffy eyes have been reduced. Are you looking for a mild cleanser for acne? Got blackheads and whiteheads you want to banish? 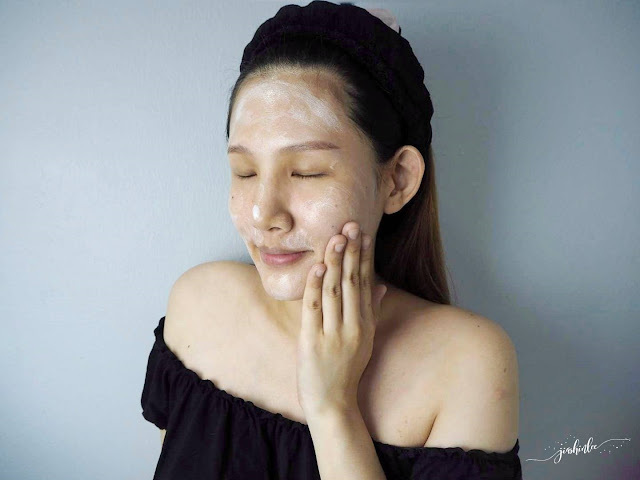 Swissvita Acne Solution Soothing Cleanser Cream will work its magic to unclog your pores and give you back your clean and clear skin within a week! Effect treatment for various types of acne. 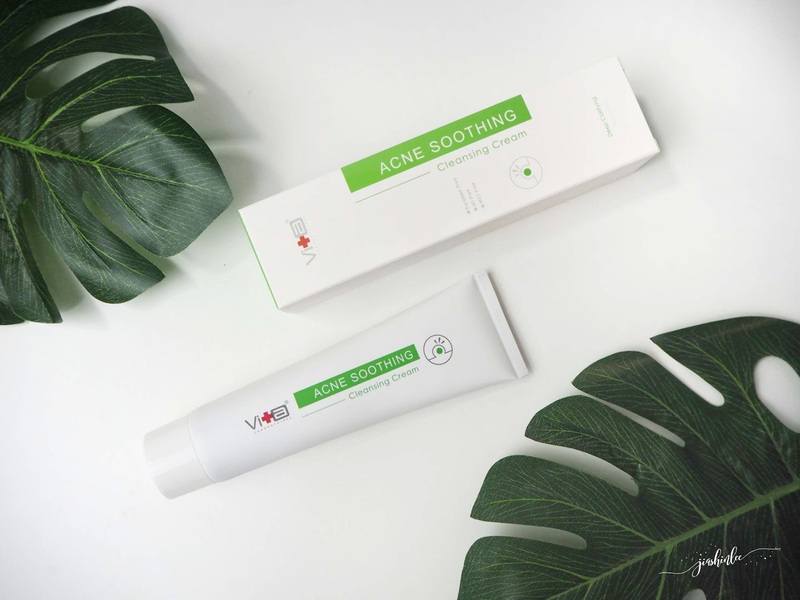 Swissvita Acne Solution Soothing Cleanser Cream is a mild cream cleanser. Massage a dime-sized amount over a dampened face, gently massage into all areas of the face. Rinse thoroughly with water and you're good to go. This cleanser is perfect for blemish-prone, combination or oily skin or as a deep cleanse for normal skin. I find it a little bit drying for my skin, therefore, I only use it twice a week to give my skin a deep cleanse. Swissvita product is available at AEON Dato Onn, Johor Bharu and their official online store www.allyoung.my, HERMO, ZALORA & LAZADA. Here's a special discount code valid until 28th February 2018 when you make your purchase at www.allyoung.my just key in "SWA10" to receive RM10 off with no minimum spending. Nampak di gambar kesan penggunaanya ada perubahan ketara. Produk yang bagis pasti mendapat sambutan. Wah ada produk kecantikan terbaru ya. Mesti terbaik ni, kalau tak mana nak u try benda ini. Just know about this product. Seem like it good for you. And I believe it suitable to use for others too. Wow really love how u to apply all the product. I also have acne. Still waiting for the product i ordered name Youth. I wrote about it before..
Woaa. Seem so good for your skin and easy to use also. I'm pretty sure this product will be the hit among girls soon. Good product fir acne problem..easy to apply and always give good result isn't it? The eye thing look so good on your eyes, jia. Proven! i see...so the texture of the eye cream is like a gel. I prefer tbag kind of eye cream, so that it doesn't feel too oily on my skin. Seperti jel nya minyak rambut ya. Tapi ini untuk bagian bawah mata. Bagus biar noda hitamnya ilang. oiya, Itu jelnya ada wangi wangi nya? I read many good reviews about this brand, makes me want to try them also.